Horology has been my hobby for over 30 years. My low charges for repairing and servicing antique, and some modern clocks just help to fund my annual costs. I’ve undertaken all my own repairs so I am familiar with almost every type of mechanical clock there is. 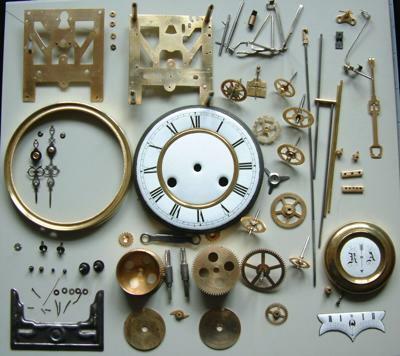 After launching Horologica to sell some clocks surplus to my needs, I received countless enquiries from local owners to repair mid-range antique clocks. Clock repairs that other shops and clock repairers were reluctant to take on because they’re too complex and not sufficiently valuable to justify the restoration cost. 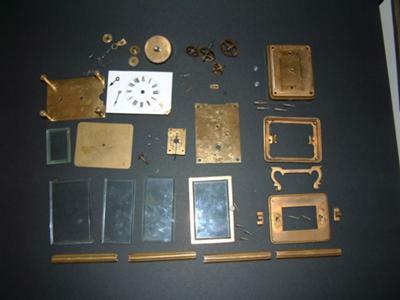 I always strip antique clocks to their individual components before cleaning as the illustrations show. There’s no other way to check the mainsprings, pivots and pivot holes properly. And where re-bushing is required, I don’t charge extra. See my Horologica website for more details of prices and for many free and interesting tips and hints.